I was out Wednesday night having drinks, well ok I was having water, with my friends Tina Sparkles and Jenny Hart. We got to talking and I realized I had never told Jenny about the Oco-girl I had made using one of her free patterns. From there I realized I never told you guys either. I went on a small mad scientist embroidery kick there for awhile. I was taking bits and pieces of various patterns, photoshopping them together, printing them out and then tracing the design onto fabric to stitch. I thought I would share a couple of my creepy yet cute creations. P.S. 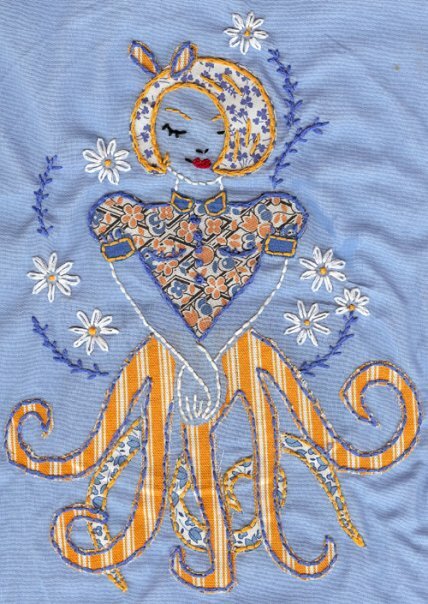 Don’t forget the round-up I did of embroidery related posts last Friday on Handmade in Hollywood. Posted January 22, 2010 & filed under Art, Needle Arts, Needle Crafts. Aww how creepy cute! Love that idea! Haha those are pretty stinkin cute! I especially like the top one…so creative! 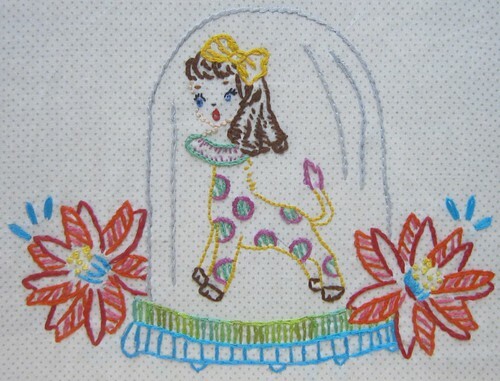 Love these great embroidery ideas, thanks!